The Dexter 8 in. x 3 in Turner is ideal for those working a griddle. Made for thoose who prefer a traditional wooden handle. 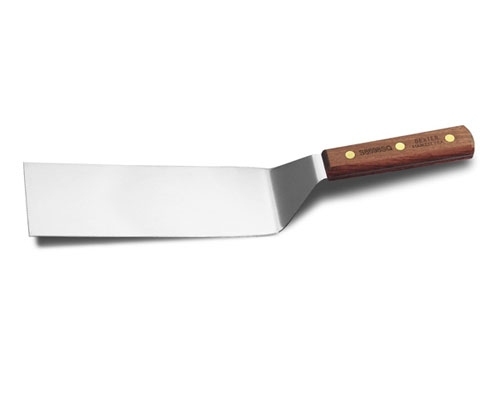 Features a stainless steel blade, with a rosewood handle that is secured to the blade with brass compression rivets. Made in USA.